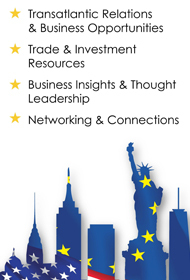 European American Chamber of Commerce New York [EACCNY] | Your Partner for Transatlantic Business Resources The EACC provides its members with access to transatlantic business opportunities and information, resources and support on matters affecting transatlantic business activities. Gain exclusive insights on issues crucial to doing business across the Atlantic at our seminars, keynote talks, panels, and deep dive workshops. The EACC helps facilitate growth and development of its transatlantic member organizations through strategic B2B referrals. 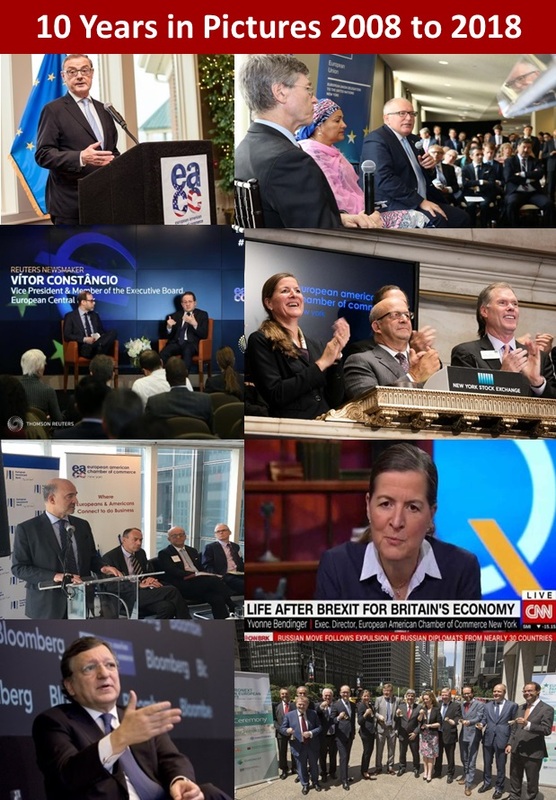 The EACC keeps you up to speed on the latest business news from the U.S. and Europe, and connects you to useful tools, member resources, including policy & regulatory resources. The EACC gives its members a seat at the table of the transatlantic business dialogue. The EACC is here to help members navigate the transatlantic business community. The EACC is here to serve you and your company’s business goals and needs, large and small. Learn what our members think here. Join the EACCNY for a seminar regarding CFIUS and its trade, economic & security implications on both sides of the Atlantic. Recent US & EU anti-trust trends in the Digital Economy Antitrust authorities are increasing their scrutiny of the role and use of data in various technology markets. In the report “Building a European data economy” the European Commission (EC) asked whether firms should be compelled to grant access to their data on Fair, Reasonable and Non Discriminatory (FRAND) terms. BEPS & ATAD: Where Do We Stand Now? Today’s changing tax landscape requires tax and legal professionals to attain new levels of preparedness and agility as countries around the world undertake tax reform. Each year, the President of the United States declares the third week of May as World Trade Week. Trade organizations, businesses and other stakeholders come together both locally and nationally to promote and facilitate international trade in the U.S. economy. With a rich and robust international trade arena, WTW NYC has expanded, thanks to our partner organizations, to include a multitude of diverse activities. The Cyprus U.S. Chamber of Commerce, a member of the EACCNY, cordially invites you to the 'Cyprus-U.S. Chamber of Commerce 2019 Award Dinner ' honoring ExxonMobil. Join Eversheds Sutherland, a member of the EACCNY, for an in-depth seminar examining how corporate organizations can be optimally prepared to manage an international incident. Apart from the actual on-ground emergency response, an organization must manage the myriad drivers of exposure that accompany any large-scale incident.